In 1971, the college's newspaper is published on a biweekly basis. In 1972 enrollment was more than 4,300. Students participated in Chess Club, The Forum Debating Team, performed in The Spider and the Bee, organized a blood drive and a Pakistani Clothing Drive. The Lyceum Series included speakers Arthur C. Clarke, Bill Baird, The "Amazing" Dr. Polgar and Jean Shepherd. Students participated in Chorus, Jazz Ensemble, Flag Football, Student Government. The Masquers Guild, started in 1974, produced "Death of a Salesman"(1972). Athletic teams included wrestling, varsity volleyball, soccer, tennis and cheerleading. 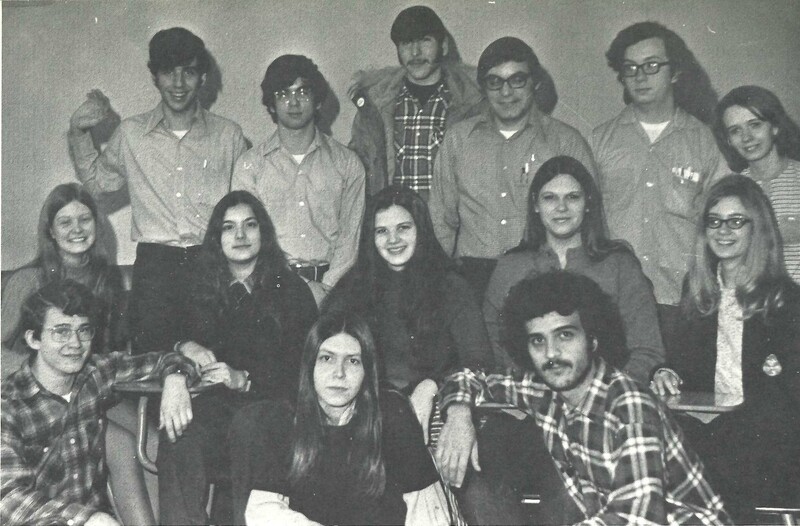 Photo of 1972 Chronos yearbook staff.